In this digital age, Your Reputation, especially Online Reputation, Will Open Doors or Close Them… You built your reputation in your personal, professional, and academic life. Your Online Reputation should reflect the life you built, because people are just clicks away when they want to learn about you. Webutable’s Online Reputation Management Service provides superior results for Online Visibility, Online Reputation Management and Online Reputation Defense. Take control of your online reputation today! Your Online Reputation means Vision, Value, and Veracity. Your name stands for innovation, leadership, and integrity. Angry, hostile, unjustified comments on the web affect your reputation. Your online reputation is a huge facet of your “offline” reputation. Preparation for both is extremely important in this online society. Webutable prepares you for the online and offline aspect. We protect and promote your online reputation! Professionals – Create & protect your online visibility for your profession & business! Executives – Safeguard your executive’s reputation and protect the company’s online reputation & market value! Organizations – Promote your passion & increase the support of your non-profit organization! Political Leaders – Modernize your political campaign in the online medium! Reach your constituents online! Celebrities – Battle and win against the digital paparazzi! Oftentimes, Accusations Online are Guilty Until Proven Innocent Consumers solidify an opinion about a business from 3-5 different resources found in the top 20 search results. The search results can help or hurt your professional reputation. 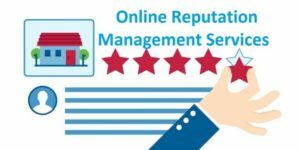 We provide professionals the online reputation management needed for success in today’s digital market. We are your online advocate, working with you to ensure the search results reflect your achievements. Take control of your online reputation today! As Benjamin Franklin once stated, “It takes many good deeds to build a good reputation, and only one bad one to lose it.” But what if the deed published on the internet is a mistake. Or worse – an outright lie placed strategically by a hostile entity. Your consumer base looks to the opinions of other like-minded consumers before they determine where they will spend their money. Your consumer base is doing their due diligence on you right now on one of the top four search engines. Being fully aware of your reputation online can mean the difference between expanding or losing business. Identify and promote your most important web content. Identify and promote your most valued news coverage. Monitor your namespace for negative and hostile content. Work with you to build balanced, informative search visibility. Work with you to ensure current, relevant, accurate information appears in search results. People Believe a CEO’s Reputation Reflects the Company’s Reputation Neglecting a CEO’s reputation in the online sphere increases a company’s risk for financial loss. When you protect your company’s reputation, you protect your company’s bottom line. Our premium online reputation management service is designed to preemptively and proactively protect the heavily vested reputation of corporate executives. Safeguard your online reputation and leverage it to your company’s success with Webutable! Take control of your online reputation today! “A risk to its reputation is a threat to the survival of the enterprise.” Negative attacks online can cause a loss of confidence by investors and consumers. Do you have the online reputation equity to survive the economy and unpredictable information online? Are you willing to risk millions of dollars and irreplaceable time to be without reputation management? With over 60 billion searches are conducted every month and 93% of these searchers never go beyond the top two pages of the search engine results; the first two pages extremely influential to your reputation online. The traditional methodology of protecting and nurturing a reputation in today’s fast paced and dynamic digital media space is simply not enough. Build & Protect Your Corporate Brand Reputation Online Consumers, investors and stakeholders are maintaining a tighter grip on their finances. The reputation of a corporate brand is being scrutinized now, more than ever. Webutable Builder safeguards your corporate brand reputation. Avoid the financial downfall caused by widespread fear and mistrust in the global economy. Take control of your online reputation today! 63 percent of a company’s market value is attributed to reputation. Webutable will reduce the risk of brand devaluation and increase the coverage of your accurate and positive brand message online. Many Organizations Lack the Visibility Needed for More Support Non-profit organizations make important contributions to the community, but are not always well-known for the work they do. People who want to donate to charitable causes are not always able to find supporting organizations. Improved visibility online raises awareness and community support, which translates into more donations. Webutable advocates for the non-profit organization online, promoting their philanthropic achievements. Take control of your online reputation today! Increase Your Online Visibility, Promote Your Passion! People get passionate about finding organizations that align with their own tenets, and they feel more comfortable supporting causes when the nonprofit organization is an easy to find entity. Webutable can ensure that your Non-profit organization is known for its causes and that search results reflect the good works and accomplishments of your organization. Don’t let the lack of visibility get in the way of your mission. Harness the power of Webutable’s online reputation management services to make a difference in the world today. Let us help you take control of your organization’s online reputation. The Reputation of Political Leaders Is Vulnerable to Digital Degradation Constituents frequently rely on research gathered from the internet. Inaccurate search results have a negative impact on public perception. You are a civil advocate in the political arena; we are your online advocate! Webutable works with you to ensure that the search results accurately reflect the reputation you worked hard to build. Take control of your online reputation today! We Prepare you Pre-Campaign, Post-Campaign & more! Your political campaign coverage must include the online market! The Search Engines provide you an introduction to all of your constituents. Are you prepared for your introduction? Your Political Reputation stands for truth, honor, leadership, and integrity. Defamatory and smear tactics inspired by political opponents, special interest groups, or hotheaded individuals can gain popularity, spread like a virus, and linger on forever—even after a political leader retires from politics altogether. The Media is Leveraging Your Name Online… Celebrities, athletes, and other high profile figures often have their names and lives exploited by traditional and non-traditional media. The media today transcends traditional outlets, now including the internet. Are you prepared? By utilizing Webutable’s advanced online reputation services, celebrities can promote favorable content into the top search results, balancing perspective and improving online reputation. Take control of your online reputation today! In social media, opinion is unfettered. Neither accuracy nor decency is required, and even good news can become bad news. Both fans and detractors incite the spread of opinion, gossip, news stories, video, and photos across blogs, forums, YouTube, Twitter and other social media outlets. Regardless of source or credibility, unfavorable information can linger in the top results of search engines for years. Complaints or lawsuits can feed the fire, further crippling reputation and often result in financial loss. Are you ready to take control of your online reputation? Your name is your brand. The internet is full of individuals profiting from your name and reputation. Leveraging social media increases the value of your brand and name in the online sphere. Everyone from Oprah to Obama incorporates social media into their branding. You remove the control from the traditional and non-traditional media publishers so your reputation is accurate. Search Engines & Strangers Are Shaping Your Online Legacy Search Engine algorithms, Digital Media Publishers, and Social Media communities are shaping your reputation online without any consideration to the legacy you spent your life building. We are your advocate in the search results, working with you to accurately deliver your story where people search to learn more about the life and career you built over the years. Take control of your online reputation today! Now is the time to take back control of your image and your legacy: Your Online Legacy. Whether your motivation is personal, financial or both – for yourself, your family or your company – Webutable is your online advantage putting you back in control of the message your name is delivering. More people read the articles found on search engines compared to many of the most influential business newspapers and print publications in the country. Establishing your online reputation today, will protect your online reputation in the future. People will gauge an opinion about you based the results they find in the top two pages of the search engines.